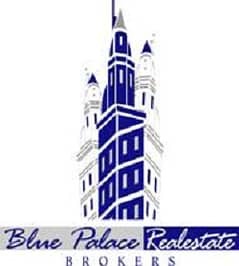 BLUE PALACE REAL ESTATE is delighted to offer this beautiful Samara villa in Arabian Ranches 2. The villa has a buildup area of 3,226 sq. ft. with a perfect layout Type 2 and a plot size of 4,000 sq ft. It comprises 4bedrooms + maid. Launched in 2014, Samara is part of the expansion of Arabian Ranches, Emaars desert-themed residential community in the heart of new Dubai. HometoSpanish coastal-influenced villas, Samara is a lush oasis reflecting the beauty and tranquillity of the desert dunes. Owners can choose from aselectionof177three, four and five-bedroom homes, each with private plots for gardens and outdoor decks. Low-pitched terracotta tiled roofs define the neighborhood skyline, accented with elegant overhanging eaves and delicately wrought iron trimmings. Impeccably styled, the interior design is a unique interpretation of a sophisticated modern Spanish palette.